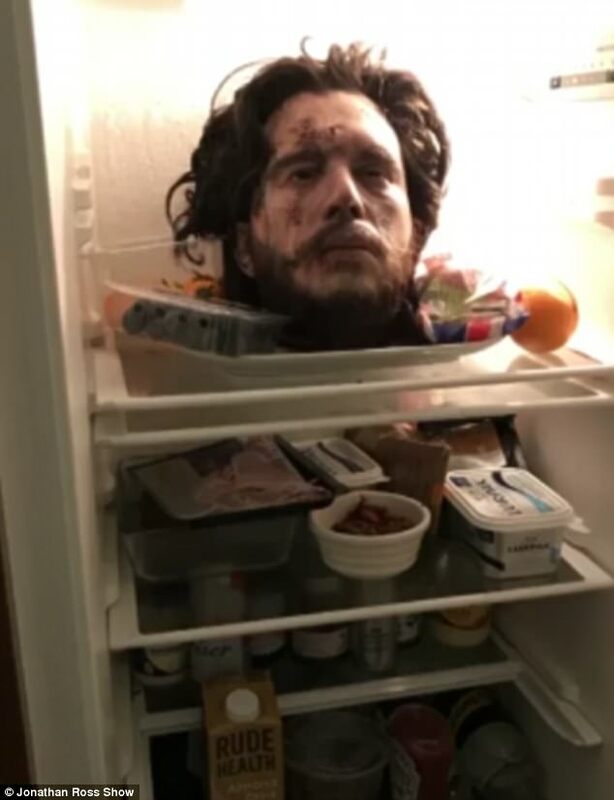 He made headlines in 2017 when he left a replica of his severed head in the fridge in a gruesome April Fools’ Day prank. 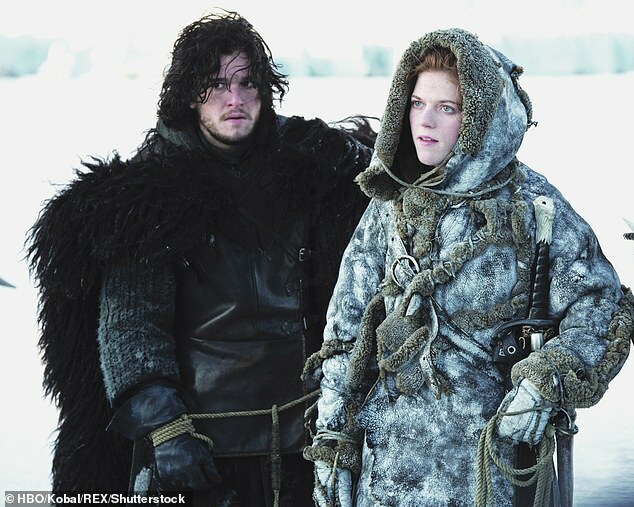 And Kit Harington has revealed he was forced to spend £150 on his wife Rose Leslie’s favourite almond milk when this year’s joke backfired. 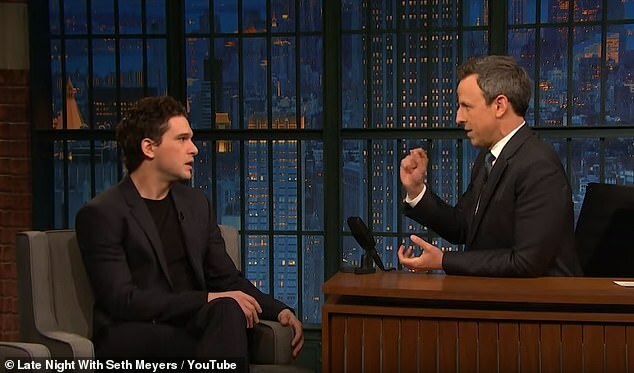 Speaking to Seth Meyers on Monday, the Game of Thrones actor admitted he ‘started strong’ with his viral prank and was forced to take another route after ‘the amount of props at [his] disposal diminished’. The actor, 32, decided to write an article claiming Rose’s favourite brand of almond milk would no longer be available because of Brexit. He confessed: ‘She has a favourite almond milk, she won’t drink any other almond milk, so I just wrote an article about how this company that makes her favourite almond milk was going under because of Brexit. ‘Now this backfired, because she immediately rang my PA and got her to bulk order this almond milk with my credit card. 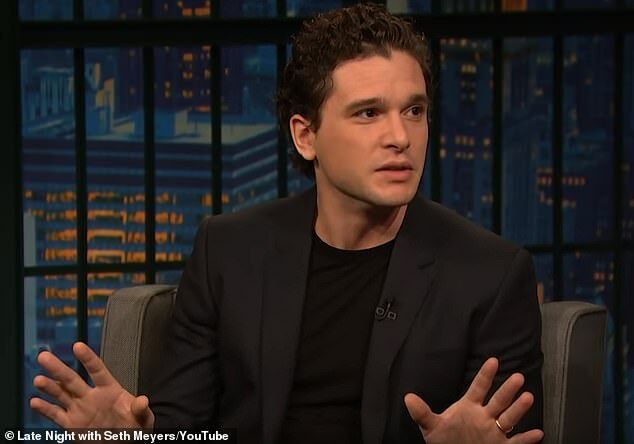 But despite the dent it made in his bank account, the prank was nothing compared to the cruel joke he played on the actress two years ago – when he placed a replica of his severed head in their fridge. 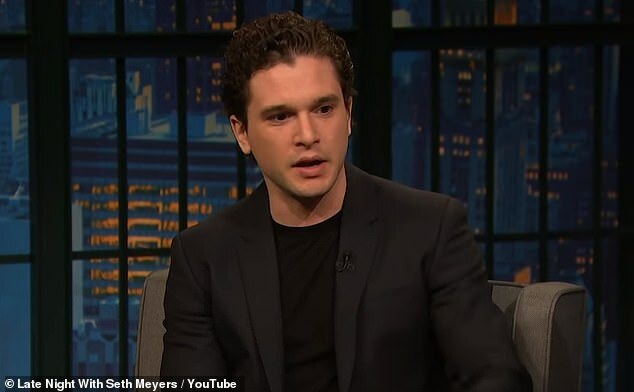 Appearing on The Jonathan Ross show in 2017, Kit shared a clip of the terrified actress screaming and collapsing in fear before he displayed an image of their open fridge with an image of his head covered in dirt and blood.